(I) Engineering Position in Project Wing: Total Posts- 20 posts, final date to submit an application and send hard copy is 06/10/2018. II) Section Engineer: Total No. of posts- 26 posts for 3 year contract, Age limit : 35 years for knowledgeable personnel, Experience : 03 years, 05 years for Diploma holders, Consolidated Pay : Rs. 35910/-, Final date to submit an application and propel hard copy is 11/10/2018. 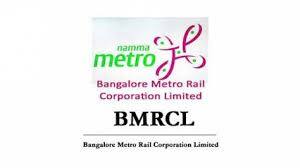 Eligible Candidates can fill the submission online from BMRC official Website ,take a print out of the same and submit along with copies of all documents in support of qualification and experience given for the job. The hard copy of online submission along with important papers in support of qualification and experience should be addressed to the General Manager (HR), Bangalore Metro Rail Corporation Limited, III Floor, BMTC Complex, K. H. Road, Shanthinagar, Bangalore 560027 superscribing the envelope as “APPLICATION FOR THE POST OF ______“. The last date for receipt of applications is as per given above.